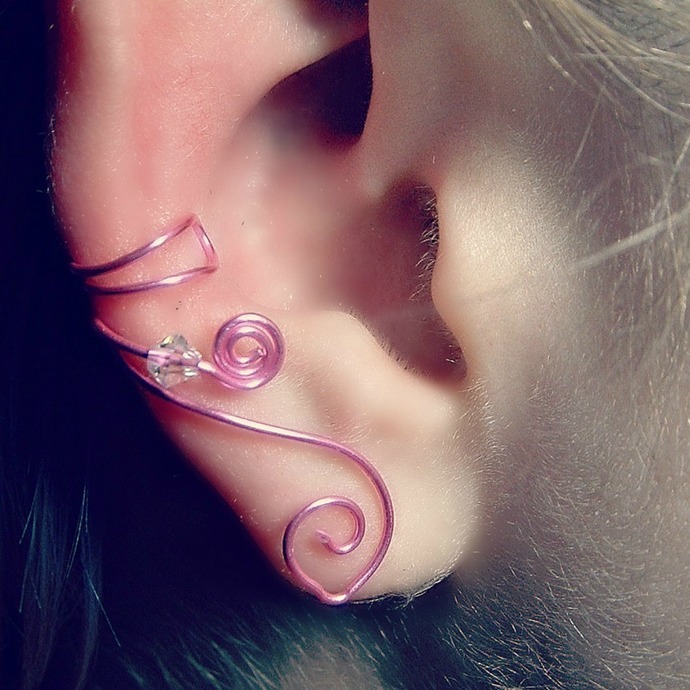 An ear cuff! made from a lovely pink non-tarnish wire with a clear swarovski crystal for an extra bit of sparkle. Designed to fit any ear, Thyme2dream ear cuffs are adjustable and can be worn with or without regular earrings- No piercing needed!